Dialysis is a treatment that removes waste and fluids from the body when your kidneys no longer work well enough to keep the body healthy. During hemodialysis, blood is sent from the body to an outside machine (dialyzer) that filters out the waste and extra fluids and then returns blood to the body. Hemodialysis is typically conducted in a facility - either a room in a hospital or a clinic (with specialized nurses and technicians) that specializes in hemodialysis. In fact, most dialysis treatment in America today requires that you go to a dialysis clinic three times per week to receive four-hour treatments. However, some patients can also conduct their own hemodialysis treatment at home. This is known as home hemodialysis. Home hemodialysis provides many patients with a wide range of clinical and lifestyle benefits. Home hemodialysis can be tailored to accommodate many treatment regimens and provides a level of flexibility not possible at a dialysis center. 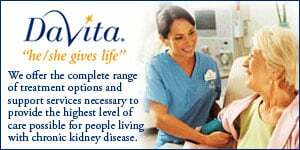 As with any form of dialysis, your doctor will decide the amount of dialysis you need. Today, there are a range of home hemodialysis treatment options available. These options allow you, your doctor, and your dialysis partner to choose the treatment that best suits your clinical needs and lifestyle choices. Performed three times per week, typically for about four hours per session. Performed five or six times a week, typically for two to two-and-a-half hours per session. Performed during sleep, typically six to eight hours a night, three or more nights a week. There are various home hemodialysis equipment options available to accommodate and support the full range of treatment choices. New, reliable, and user-friendly machines and water treatment equipment are now available for home hemodialysis patients. These are easier to use and maintain. With some newer machines you have fewer supplies to store. Different systems work for different people, and you should work closely with your doctor to choose a dialysis method and the equipment that works best for you. It is important to note that some homes might require plumbing and/or electrical modifications to accommodate home hemodialysis equipment. Home hemodialysis patients must participate in a comprehensive training program to learn how to conduct their treatments safely and effectively. Training needs vary from patient to patient, but typically a patient (and his or her dialysis partner, if any) can learn to perform hemodialysis at home within six to eight weeks. Training should be conducted on an individualized basis and tailored to a patient's specific therapy and learning needs.